These two gorgeous puppies are ready to go to their new families! 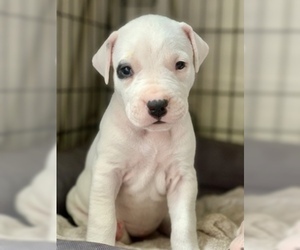 This is your chance of having an authentic Dogo Argentino without spending lots of money on bringing one all the way from Argentina. Cazador (male) and Rioja (female) where born November 12, 2018 and out of a litter of six, they where the two biggest puppies. 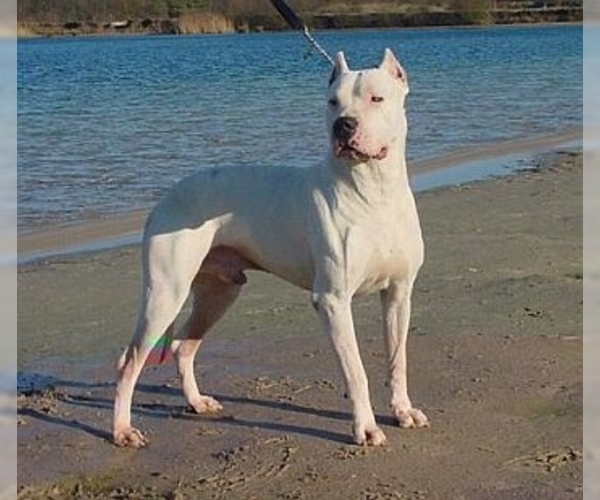 The sire Indio del Falucho (imported by us from Argentina) is grandson of the Great Garufa del Tumi, the dogo argentino with the most championship titles in the breeds history and the Dam comes from some of the best bloodlines ( Del Blender, Del TUMI, etc.) with her sire being imported from Argentina from the breeder Del Blender, some of the dogs in her pedigree are Catriel de Don Eloy, Kitucho del Blender, Fito del Blender, etc. 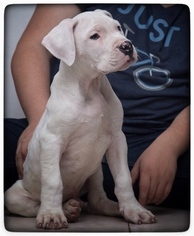 They can make great family dogs, with show potential and great hunters. 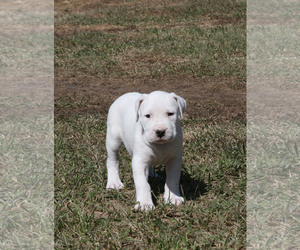 They are registered under FCI and come with a full pedigrí, tattooed and microchipped. Items Included: Current vaccines and worming, health certificate, FCI international registry, tattooed and microchipped. They are currently in Monterrey Mexico, where we have our kennel but can be imported to Texas over the weekend. 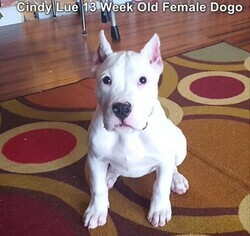 Sister to Rhino. Must be adopted separately.